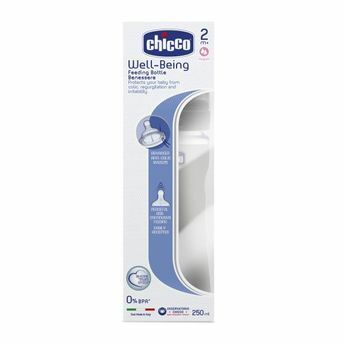 Chicco's range of Well-being Feeding bottles are made from Polypropylene and respond to latest market demands. 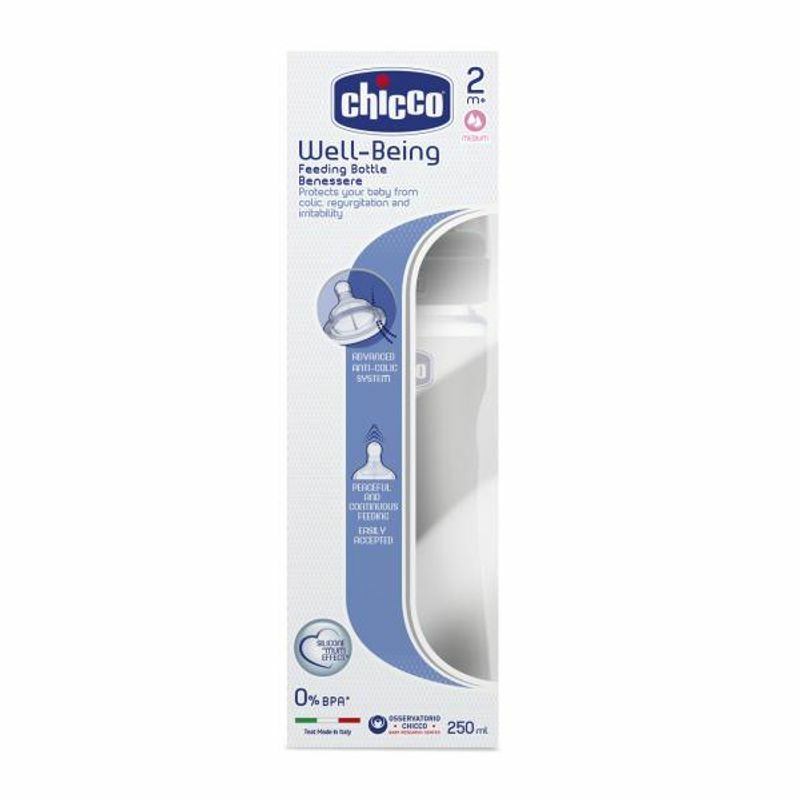 The bottle section of the feeding bottle is made from PP (polypropylene) which makes it easy to clean and is very practical for moms. The bottles for infants have pretty and attractive decorations, whilst the bottles for older kids are brightly colored with fun decorations.